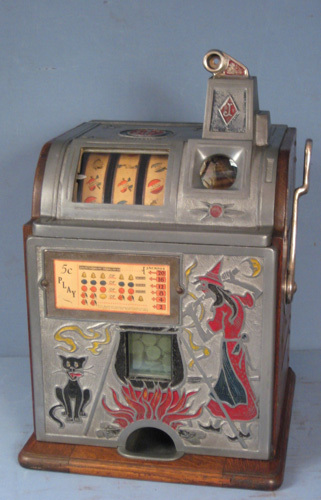 Bally, 1090, slot machine, 25¢, high capacity hopper, 1979, restoring it to original condition, see photo of the slot machine. I've completed the: wiring removing the hacked spots, removing the shorts, Molex connector pieces, the wiring is now excellent, reels, hopper, upper cabinet, lower cabinet, every nut bolt, screw has been restored, basically its running at 100%. 1) high capacity hopper cover, see photo. 2) pair of in/out meters and the mounting bracket located on the front of the reels, see photo. Last bumped by DDW on Sat May 05, 2018 3:58 pm.